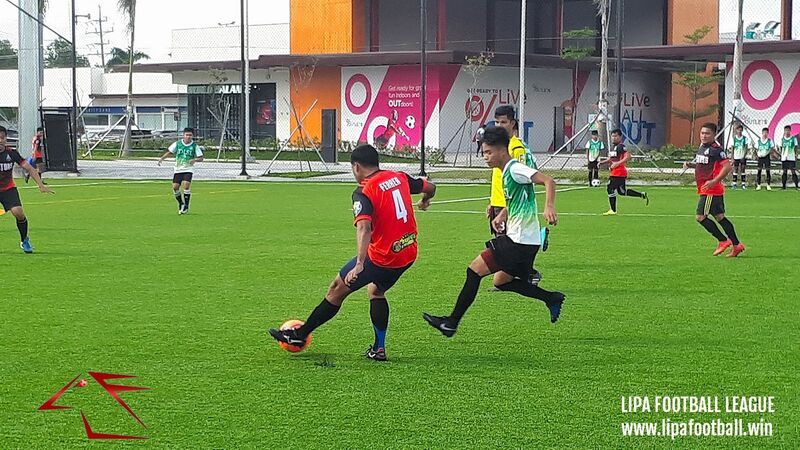 Mentors FC and La Salle FC meet in the final on 31 March 2019. Lipa City, 27 March. 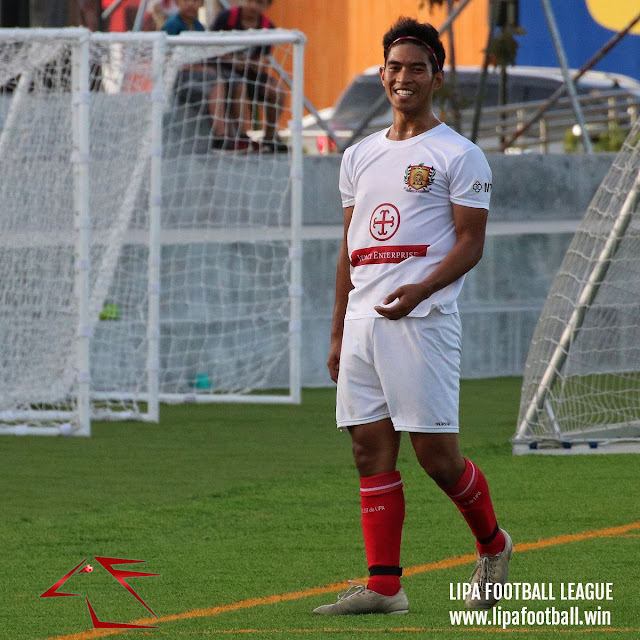 – The championship match this Sunday, the 31st of March, between La Salle FC of De la Salle Lipa and Mentors FC of Fernando Air Base at the Aboitiz Pitch brings to a close what has been a glorious second season of the Lipa Football League (LFL). From playing the inaugural season on the bumpy pitch – albeit natural grass – of a local school, the league’s organizer, Lipa-based club ACF Real Molinillo de Lipa, went into partnership with a sprawling new mall The Outlets at Lipa to co-present the league’s second season at the mall’s excellent international class artificial pitch. The league’s membership increased twofold from just 5 in the opening season to 10 in the second. 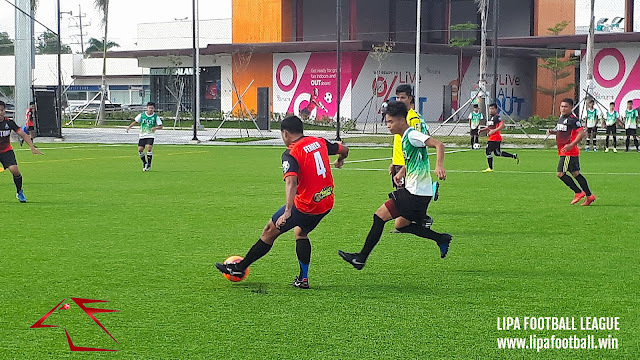 The LFL opened its arms to Mentors FC of Fernando Air Base, two teams from De la Salle Lipa (La Salle FC and Green Stallions FC), a second team from the organizing club called Coffee Millers FC, and a guest team from Batangas City named Real Baraco FC. Consequently, the number of matches also increased by 10 from 14 in the inaugural season to 24 in Season 2. In the current season, a total of 155 goals were scored in the 22 matches played leading to the final, for an average of 7.05 goals per match. This is 1.59 goals better than the season average for 2017-18 of 4.46. ACF Real Molinillo’s Season 1 record of 13 goals scored in the play-off for 3rd against Brahman FC in February 2018 was broken by the same club in Round 4 of the second season against Kings FC. The record stood for no more than a month after Real Barako, fighting to stay in contention for the semis, ripped Lipa Emmanuel in Round 5, 15-nil, for a new goalscoring record. Real Molinillo's Tyron Regalado is locked in a battle with Green Stallions' Gerard Pena for the top goalscorer award. In individual goalscoring, Tyron Regalado of Real Molinillo’s double hat-trick against Kings FC in Round 4 of Season 2 erased the former record of 4 goals shared by several players. Regalado scored a brace in the losing semi-final effort against finalist La Salle FC, but this kept him at the top of the goalscoring chart with 10 goals. Chasing Regalado is the Green Stallions’ Gerard Pena with 8 goals. The race for the season’s top goalscorer’s medal adds spice to the 3rd place play-off also this Sunday when, coincidentally, the two players’ respective clubs collide. On the downside, Mark Roy Gulang of ACF Real Molinillo earned the dubious distinction of being the first player ever of the LFL to have been showed the red card after he lashed out at a La Salle player in the semi-finals. Gulang is suspended from playing in the 3rd place play-off. As for the final, it will a match of contrasts, one between an experienced club with players who have formerly represented the storied Philippine Air Force Football Club in semi-professional league and another club with up-and-coming players who, in a sense, are still learning the game. Catch the final between La Salle FC and Mentors FC starting at 6:00 in the evening at the Aboitiz Pitch of The Outlets at Lipa. The match is preceded at 5:00 in the afternoon by the 3rd place play-off between ACF Real Molinillo and Green Stallions FC. Awarding ceremonies follow right after the final.